Dinner jackets have made a comeback in a huge way lately and there are so many styles available that it is hard to go with only one style. 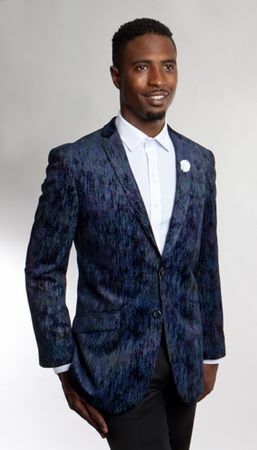 Tazio has gone big time into the dinner jacket business with their new collection of stylish blazers and dinner style jackets that will surely please the style minded individual. These blue texture velvet blazers feature that easy to wear style that you want to be seen wearing and have double side vents in the back and come in a modern fit.